``Shawkl``: Drooling over all the ideas! Drooling over all the ideas! 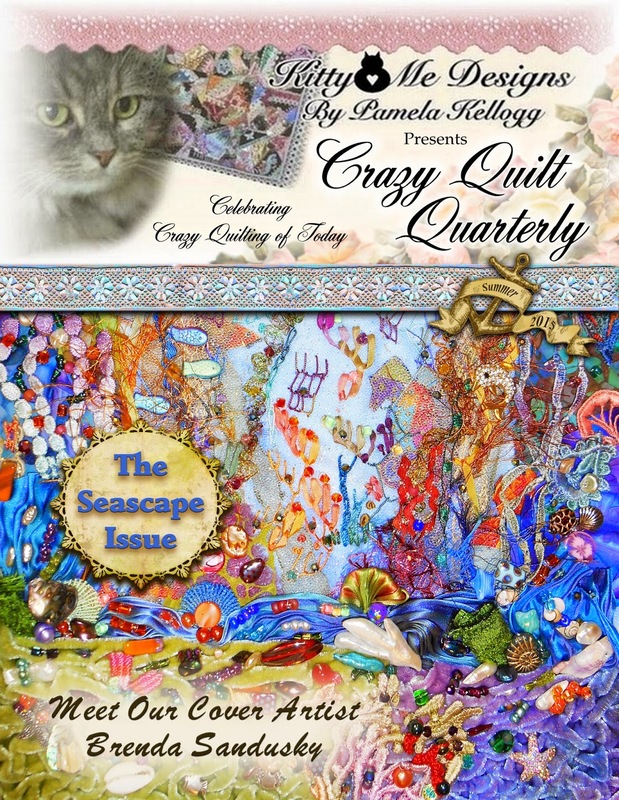 CQ Quarterly, Spring 2015 is 50 pages of glorious photos, tutorials, patterns, and spectacular eye candy! I've picked my copy up at least eight time over the last three days. All of the contributors did such a fantastic job! Check it out! ...an embrodery Octopus Applique by Lauri Burgesser I'm in love (and in awe) at both of these! And, like some other projects...each has included the pattern and clear instructions. These are BOTH going on a block soon. Or perhaps just a little framed piece for Aidan...she would love it! Of course, she would also like Lisa's gorgeous pin cushions or Margreet's dimensional butterfly! The more I look at this magazine...the more I find that I love about it! Might even try some painting since Carolyn Phillip's article about Under the Sea treasure chests is so easy to understand. Do yourself a favor...order the magazine...it is wonderful! I think this was a great theme for an issue. Everyone likes the sea projects, don't we? I didn't know about this magazine so thanks for sharing about it. It looks beautiful. 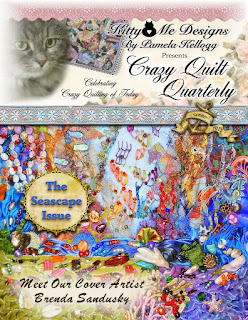 Hello Kathy, I just posted about your magazine on my facebook page and blog. Such a lovely magazine!